Dr. Jeri DeVale Ph.D. has 35 years of experience in Psychotherapy, Marriage and Family Counseling, Business Management Consulting and Organizational Development. She is author of “Kissing Our Way to Enlightenment: Living in Freedom” a book inspired by her desire help others in their journey towards enlightenment, pure awareness, joy and peace for the world. She is also Founder of the Institute of Healing Arts and Films a non-profit organization dedicated to help bring humanity to health and wholeness. 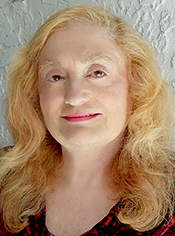 Here in addition to providing low cost counseling Jeri is doing vital research that is about how your consciousness makes you vulnerable to certain diseases and how to remedy that and cure diseases with a change in consciousness. We are a non-profit charitable institution your donations are tax deductible so please consider donating either money or your time or both…volunteer, learn, spread the word, celebrate life with us…be happy. There are limitless ways you can help. Help us fund raise by donating what you can art work, songs, help us create concerts, parties, raffles. If you write help us with our monthly newsletter and write educational videos and healing films, if you act or direct or a line produce please volunteer. If you do PR and social media and advertising help us get the word out. If you like giving luncheons for a worthy cause let us know. If you have a talent and knowledge and want to teach a class let us know. If you teach T’ai Chi or Qigong let us know. If you want to facilitate a book discussion let us know. If you are a newspaper consider giving us a non-profit rate so the word can be spread. If you are a business or corporation your donation is tax deductible plus we have many seminars for both your employees growth and your businesses efficiency that can be of assistance. Donate cars, houses, bake cookies for our events and help us with refreshments. Send us a E-mail with your interest. Thank you.